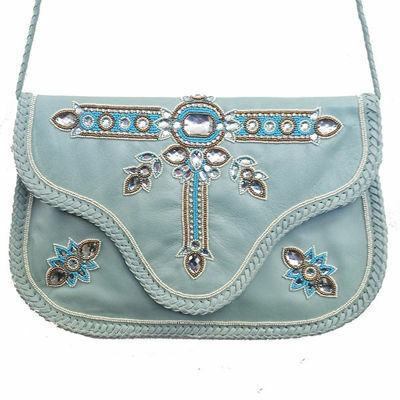 Geniune leather wallet with center crystalL bead work. Geometric pattern with glass bead . YKK brass zip pocket inside. With magnetic closure. SIZE : 14" X 9"
A large velvet Hobo. Multi color with crystal. 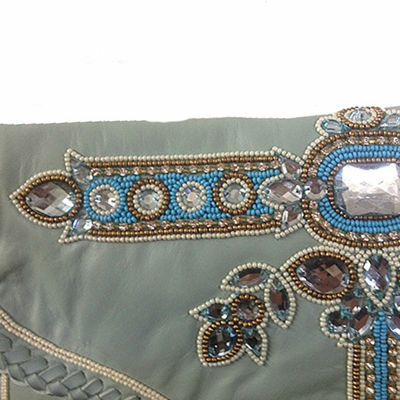 Metal and thread embroidery in the center and abstract strips on the sides. 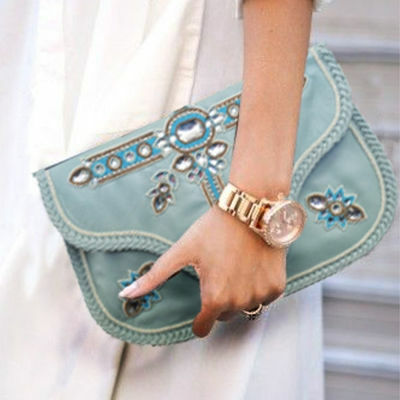 A combination of gold and black makes it a dawn to dusk bag. 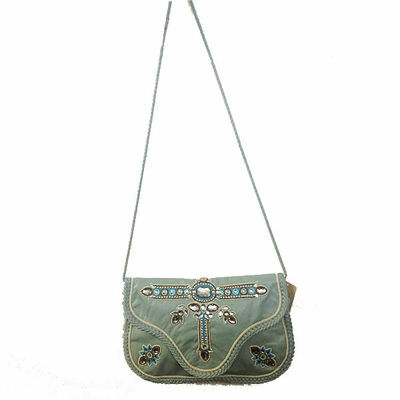 100% Cotton canvas hobo with metal art . Geometric patterns with metal embellishments of different shapes and size stitched together to create a unique abstract flow . Metal closer with a string dog hook closure too. YKK brass zip pocket inside. An all season unique hand crafted hobo which defines a rare look. Rich brown dupion silk fabric bag with foil floral print in bronze color. Zip top closer. With two pockets inside. 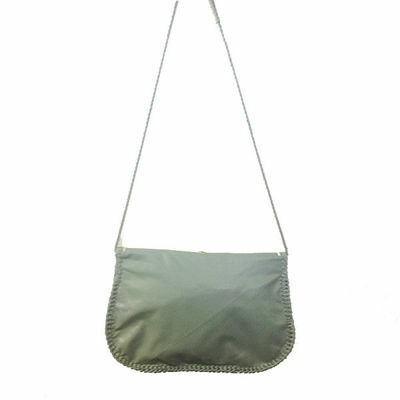 One pocket with zip. Satin lining. The Perfect fall bag to enjoy the season with.